Shakti-Astitva Ke Ehsaas Ki's Bangkok track to be repeated in Singapore, but there is a TWIST! TV shows' cast and crew shooting in abroad locales is not a new thing. 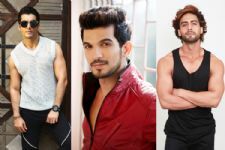 A lot of shows like Krishna Chali London, Taarak Mehta ka Ooltah Chashmah, Beyhadh and Porus to name a few, in recent times have shot in foreign locations. 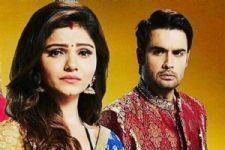 Now, popular Colors' show Shakti-Astitva Ke Ehsaas Ki all set to join the bandwagon yet again. 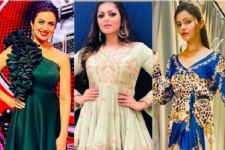 Rashmi Sharma Productions' hit show Shakti, featuring Vivian Dsena and Rubina Dilaik in lead roles is all geared up to shoot an amazing upcoming track in beautiful locales of Singapore. News has it that the track will revolve around Saumya's (Rubina) child being kidnapped and taken off to Singapore. The kid will be on the verge of being sold off and then it will be a task for Harman (Vivian) and Saumya to rescue their child in the nick of the time. According to media reports, The team will fly to Singapore in the second week of February and the schedule will last for 10 days. Interestingly, this is not the first time that team Shakti-astitva Ke Ehsaas Ki will be shooting in abroad. If you remember, the team last time shot in some thrilling episodes in Bangkok. In the track, Saumya was about to get sold, and this time her kid is being sold. 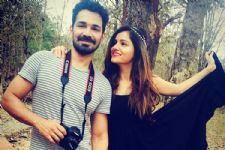 Abhinav Shukla's Dignified Response to a User who TROLLED wife Rubina Dilaik is too Inspiring! #FreakyFriday: Listen! We did a RECASTING of Shararat! Vivian Dsena my life my king my world ..
Vivian Dsena Vivian Dsena,, _?